A Dremel is a useful hand-held tool with several attachments used to carve, clean and cut through wood and metal. It can be safely used to cut through rusted bolts that can't be removed otherwise. Cutting through a bolt may seem daunting but, by following some simple instructions, you can use your Dremel, a mandrel and a cutting wheel to safely and quickly complete this project. Use your Dremel to cut off rusty bolts. Attach the cutting wheel to the mandrel. Remove the screw at the end of the mandrel, insert the screw into the small hole in the cutting wheel, and replace the screw with the cutting wheel on it into the mandrel. Tighten with a screwdriver. Loosen the chuck at the end of the Dremel, insert the mandrel and use the supplied wrench to tighten the chuck. Put on safety goggles and plug in the Dremel. Turn on the unit. 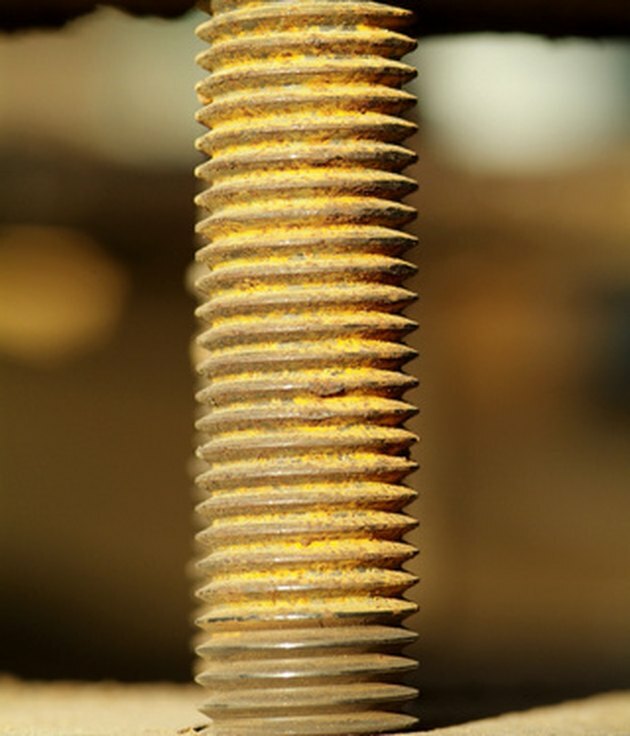 The suggested speed to cut bolts is 25 to 35. The cutting wheel will begin spinning very quickly. Hold the Dremel in one hand and use the other to steady and guide it. Apply the edge of the cutting wheel to the bolt where you want to cut through. Move the cutting wheel from one side of the bolt to the other, making several passes until you cut through it. The wheel and the speed will do the cutting; do not apply unnecessary pressure. Unplug the Dremel when finished.